When Cronan Connell saw Valley Rubber LLC failing more than 10 years ago, he didn’t abandon the dying company but instead seized the opportunity to help it flourish in a struggling economy. The efforts he and his team made transformed Valley Rubber into a business that prides itself on being “big, black and ugly.” Since Connell, 45, has led the company, Valley Rubber of Falkville has offered products that consumers need, but also weathered a recession with a 40-percent jump in growth in the last year. Connell, Valley Rubber president, watched sales increase from $10 million to $14 million after entering foreign markets. In the last 12 months, the company has added 35 new employees. 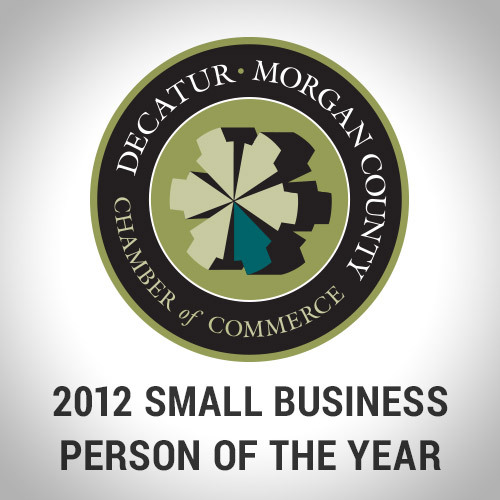 For his efforts, Connell walked away Thursday with the Decatur-Morgan County Chamber of Commerce’s 2012 Small Business Person of the Year award. Valley Rubber provides rubber molding products for the mining and aggregate, marine, offshore, railroad, road and bridge, and material handling industries. The company opened in 1967. When Connell and his team got involved with Valley Rubber, he said it was in rough shape financially. The secret to Valley Rubber’s success came when Connell’s team sat down to find what the company did well and not so well. They threw out the small, mass-produced products and instead focused on their strengths as employees and a company. Their first approach in rebuilding the company was to expand as much as possible in the North American market before transitioning to South America the last couple of years, Tumbleson said. “Our plan was to very methodically move into the new territory when the company was ready for it,” Tumbleson said. Connell is a graduate of Clemson University and is married to Theresa Shea Connell. His son, Patrick, attends Auburn University and his daughter, Elizabeth, is a junior at Hartselle High School. He is an active member at First Bible Church of Decatur.